Cordelectra are a young, vibrant, all-female professional Electric String Trio based in Southampton, Hampshire. 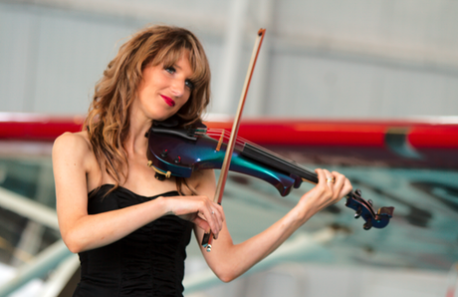 They fuse classical and contemporary sounds to create exciting entertainment for any event. The members have been performing together all over the UK and Europe as a string section for various artists as well as their own acoustic and electric string act. The girls have performed individually at events such as the MTV European Music Awards, the Royal Variety Performance, the Eurovision Song Contest as well as UK and European Festivals. The girls have also toured with Chesney Hawkes, Mark Read and Nic Kershaw and provided session work for the Kungs for their album. 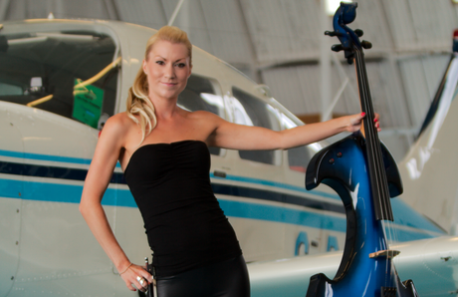 Their Cellist, Debbie recently became a National Venus Awards Winner for Inspirational Woman in Music.Cordelectra play at weddings, private parties and corporate events. Some recent engagements include performing for/at: Birmingham NEC, VMA 2018 – London, The Venus Awards – London, the Cruise Awards 2018 -London, Cadillac Alghanim Automotive Exhibition in Kuwait 2018, Arbonne Conference – Glasgow, The Annual Hotel Conference- Manchester, Venus Awards, Wave FM, Wessex Heartbeat, Lord Taverners Charity, Care after Combat – London, St Marys Football Stadium, The Royal British Region and Cafe Mambo and Eden in Ibiza. Emma graduated from Trinity College of Music. Her professional work has included performances with New London Soloists Orchestra, Bath Philharmonia, Tempus Chamber Orchestra, Jersey Symphony Orchestra, Educational Workshops with the London Philharmonic Orchestra and various other chamber ensembles. Emma has played in recording sessions for films, televised programmes, various pop/rock/funk/soul bands and Music for the Eurovision Song Contest. 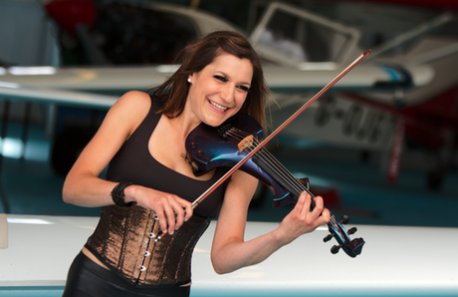 Emma currently teaches throughout Hampshire, whilst performing with Cordicella String Trio, Southampton String Quartet, Backing strings for numerous bands and other orchestral freelance work. Patricia began her musical career in her native Germany and after completing her studies at the University of Southampton she was awarded scholarships for further studies at the Royal Welsh College of Music and Drama (PGdip) and at the Guildhall School of Music and Drama (MMP, Advanced Certificate). Her professional engagements have included a placement with the BBC Wales, work with the Orchestra de Baroque, the Dionysus Ensemble, the Sinfonia Cymru, Bath Philharmonia and the London Soloists Chamber Orchestra. Patricia performed with McFly at the Royal Variety Performance and with Dido at the MTV European Music Awards and did regular studio work for House of Audio in Germany. At the moment she is teaching in schools and privately as well as playing viola with the Southampton String Quartet, Cordicella String Trio, Background Strings Olly Hite and freelance work. Debbie has toured and played in several countries including China, Estonia, Latvia, Hungary, France, Ibiza and Kuwait. Debbie has played at many prestigious occasions either as a soloist or member of a trio or quartet, including the launch of the Queen Mary 2 as well as many other corporate and charity events. Debbie has enjoyed master classes with Julian Lloyd Webber and the Allegri String Quartet, has had the opportunity of studying and performing with members of both the Bournemouth and BBC Philharmonic Orchestra and has won many awards for her musical talent, most recently the National Venus Woman Awards for Inspirational Woman in Music.